The 8th edition of the Fairway Galle Literary Festival is back bigger than ever and will take place from the 11th to the 15th of January 2017. With the Festival having started yesterday, we catch up with some of the biggest authors set to attend the 2017 Festival! Dr. Peter Frankopan is a best-selling historian who has published books and other works focusing on the history of the Mediterranean, Russia, the Middle East and beyond. His latest book ‘The Silk Roads: A New History of the World’ is an international bestseller that has sparked a reaction around the world. When and why did you choose history as your area of focus? I have always been interested in history! When I was a small boy, I loved learning about important events from the past. Reading about great rulers, wonderful artists – but also about periods of upheaval, breakdown and collapse – was my favourite pastime. It still is. Being a historian means trying to satisfy curiosity about the past and the present. And in fact to me history is the Queen of the subjects: it allows investigation into literature, language, religion, science, philosophy. There are no limitations to the kinds of questions that a historian can ask. That still excites me. Your latest book, The Silk Roads, is an international sensation. What would you say the book is all about? It is about how we need to look at history in a different way. History tends to prioritise the same, popular subjects. Books about people and themes that are already famous sell many copies. Those about things that are more obscure usually do not – even if they are about important topics. I am amazed that Silk Roads has topped the charts all over the world, because it is about things no one pays much attention to – like the foundation of a Viking state in what is today Ukraine and Russia; like the impact of plague and disease on economies; like global credit crunches in the past. My book tries to make connections and to link things happening man thousands of miles apart. As a result, I can show how globalization is not new, but a fact of life for more than 2000 years. I look at how the world’s main religions – Christianity, Islam, Judaism, Buddhism and Hinduism – competed with and borrowed from each other. It shows how control of the main global trade routes that connect Asia and link it to Europe and Africa shaped the past and present. 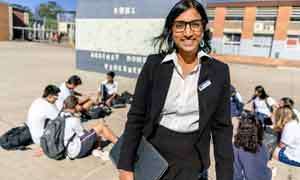 And they will shape the future. What inspired you to focus your second book on this subject? This book is the culmination of more than three decades of research. When I finished Cambridge University, I moved to Oxford (some thought it was treasonous to cross to the ‘other side’!) because I wanted to work on regions, periods and fields where Oxford’s expertise is the best in the world. I have now been in Oxford for twenty five years and over that time, have been lucky to be able to work on topics that require incredible attention to detail. I have written academic articles that investigate manuscripts written in the 11th century, assess borrowings from Medieval Latin texts in accounts written in Constantinople, and written about diplomatic missions on the steppes of Central Asia more than a thousand years ago. This level of detail is what academic scholars revel in – we know that to be in command of every single piece of information is essential to be able to answer a question properly. However, alongside that, I have always been mindful about being able to think about expansive, difficult questions and to try to look at the big picture too. As the great Ferdinand Braudel once wrote, historians need to be ambitious. Writing a history of the world from antiquity to today, along lines that no other scholar has looked at before would certainly make him happy! In your book, you argue that the world’s center is shifting to the Silk Roads, yet many believe the opposite; that it is shifting more towards the Eastern side. How do you respond to the different body of opinion that is contrary to your belief? I do not base my opinion on beliefs. I base them on facts. I do not have the gift of prophecy and I distrust anyone who claims they can see into the future. But if I look at the world around us today, all the problems – and opportunities – lie along the Silk Roads. Just look at the region I focus on: Turkey; Syria, Iraq, Israel and the Middle East; Iran; Russia, Ukraine, the Caucasus and the Central Asian republics; Afghanistan, Pakistan. India and China. These are the main countries lying across the heart of the world. What goes right – or wrong – in one, two or more of these countries dictates what happens for all of us. Betting that China is becoming the world’s centre is madness. I am interested only in connections and seeing how past and present have been linked together. There is no question that the future will be too; the only issue is determining the way this unfolds. How much research goes into your work? How long do you research for your books and how do you assure factual accuracy? My parents taught me the value of hard work from a young age. I spend weeks, months and years in the libraries of Oxford and in archives all over the world. I see the pursuit of knowledge and truth as the pursuit of virtue. So I read, and read and read; but above all I keep asking questions. I was taught as a youngster that there is no such thing as a bad question; only a bad answer. Being a scholar can be a lonely experience. You need determination, resolve and a lot of stamina to bring research to a conclusion. And it can be a terrifying thing publishing something so visible as my Silk Roads book: it feels a bit like holding up my new born child and asking everyone and anyone if they think it is a beauty. But I know after many, many years at Oxford that this is how it is for any author and scholar. If you could find the answer for one question in history – what would it be? I expect I would want to go back to the beginning of time to when it all began for mankind. I’d like to know if we humans could have done things any other way and could have evolved as a species that only co-operated and innovated, without harming and killing each other. 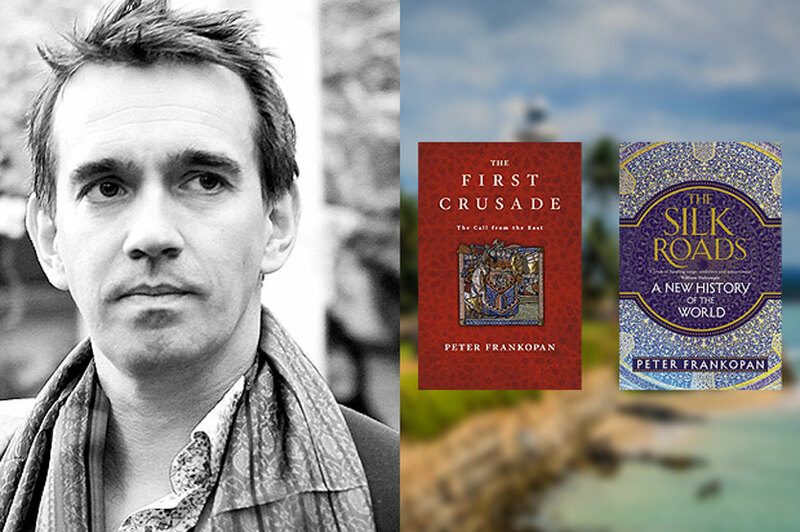 Want to get yourself tickets to meet Peter Frankopan?